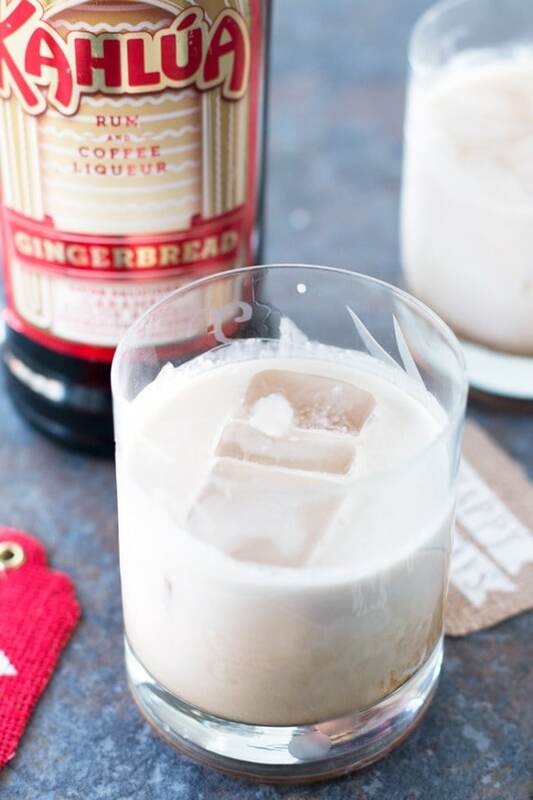 A Gingerbread White Russian is how I’m enjoying my obsession with Gingerbread Kahlua this holiday season. With just the right amount of sweetness and ginger spice, it’s Christmas in a glass. I can’t remember if it was last year or the year before that I discovered the magic that is Gingerbread Kahlua. I’ve seriously been looking forward to indulging in the stuff all year long. Usually I like to just sip on a little over ice, swooning over the gingerbread flavor while staring at my Christmas tree and singing along to Christmas music. 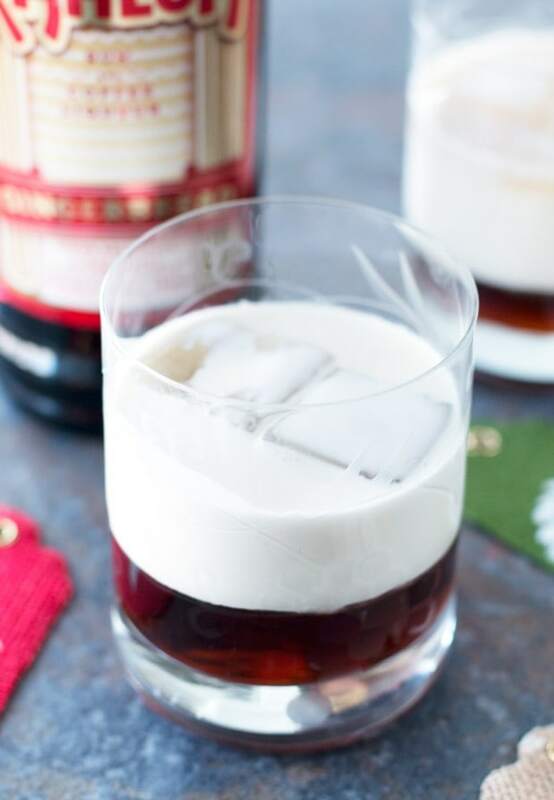 Then I remember how much I like White Russians…. I had to climb up into the depths of the upper cupboards to pull down these rocks glasses for this cocktail, by the way. 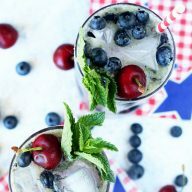 Did you know that White Russians really don’t work in any other glass? I tried. Stemless wine glasses? Nope. 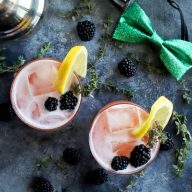 Different shaped cocktail glasses? Definitely not. I could never get the creamy top layer to be perfect. Which meant not only was I frustrated by the time I finally found these darn glasses, I was also slightly tipsy after drinking a few cocktails. I can’t waste anything, ok? It’s a thing. Especially when it comes to booze. Can you believe Christmas is next week? I’m still struggling to wrap my mind around it. I still feel like Thanksgiving hasn’t happened. My brain is in some sort of alternate universe brought on by a severe lack of sleep. This weekend I plan to sleep in and binge watch all the Christmas movies I possibly can. Seriously, I doubt I’ll even make it out of bed except for supplies (read: booze and food) and when I absolutely MUST (read: holiday party festiveness). 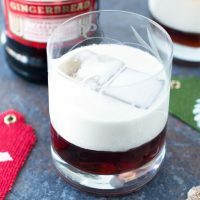 And this gingerbread cocktail will be by my side the whole time. Who’s ready to cuddle up and try to make the next week last as long as possible? This girl. Pin this Gingerbread White Russian recipe for later! 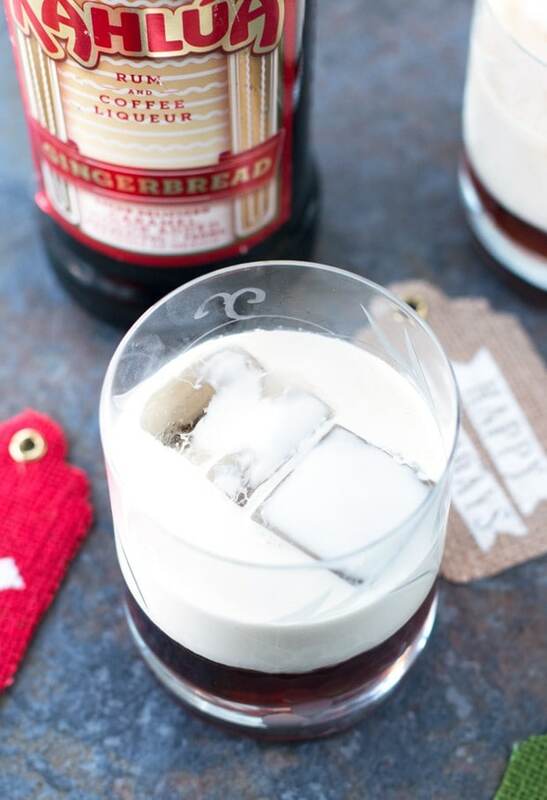 The holidays wouldn't be festive without a little gingerbread Kahlua in your glass, right? Fill a rocks glass with ice. Pour in the Kahlua and vodka and stir to combine. Top with the heavy cream, pouring the cream in over the back of a spoon to get the perfect creamy layer on top. Gingerbread Kahlua? I didn’t know there was such a thing! What a great sounding bevvy! WHOA does this look amazing. 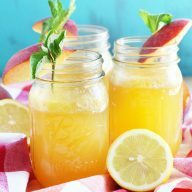 What a gorgeous and cozy holiday drink! Woah!! 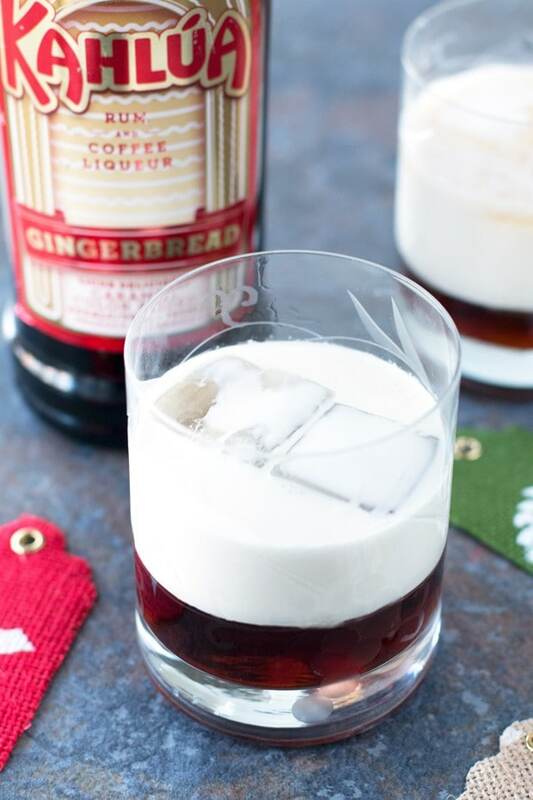 I want this…have to look into the gingerbread kahlua! !